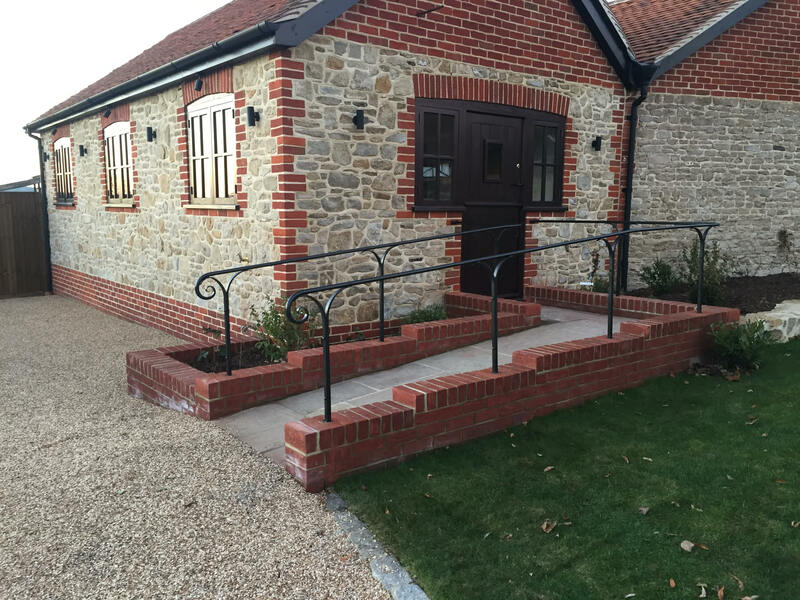 An elegant stylist design to secure a sloped entrance, hand forged and hot riveted in mild steel. Finished in a slate grey paint. Made by Andy Quirk and Graham Hart.